Arrive Cayo District Upon arrival at Belize Airport for our transfer into the rainforest to our hotel/lodge. Xunantunich and San Ignacio Today we will take a tour to the famous site of Xunantunich, situated on the banks of the Mopan River. Xunantunich means “Stone Woman” in Mayan language, and it was a thriving city near the end of the classic Period (300‐900 A.D.). 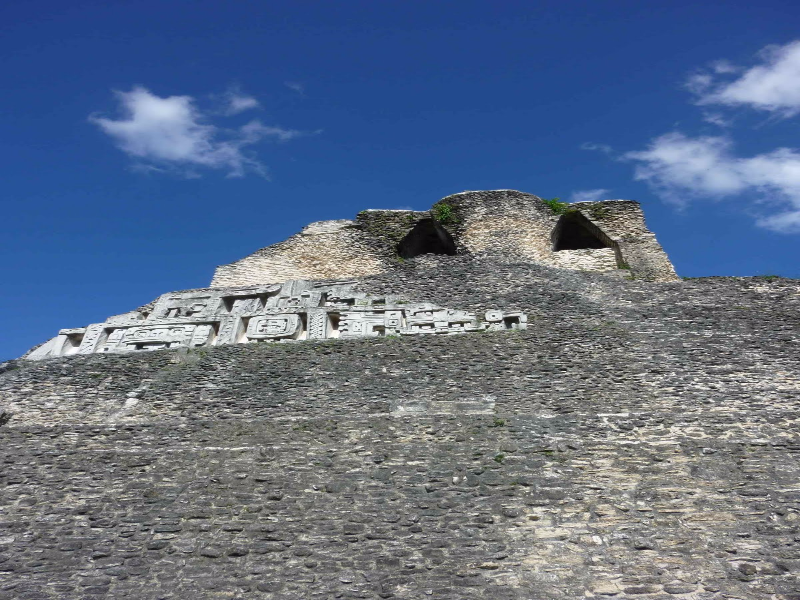 The tallest pyramid is the impressive 130 foot “El Castillo” – only exceeded in Belize by the Cana pyramid at Caracol – and is well known for the band of stucco decoration which at one time extended around the entire temple. The centre of the site is composed of six major plazas surrounded by more than 25 temples and palaces. After our private tour, we can take some time to explore the town of San Ignacio before returning to the hotel. Caracol, Río Frío Caves and Pools For this tour we will drive to the beautiful Maya site of Caracol (Snail). 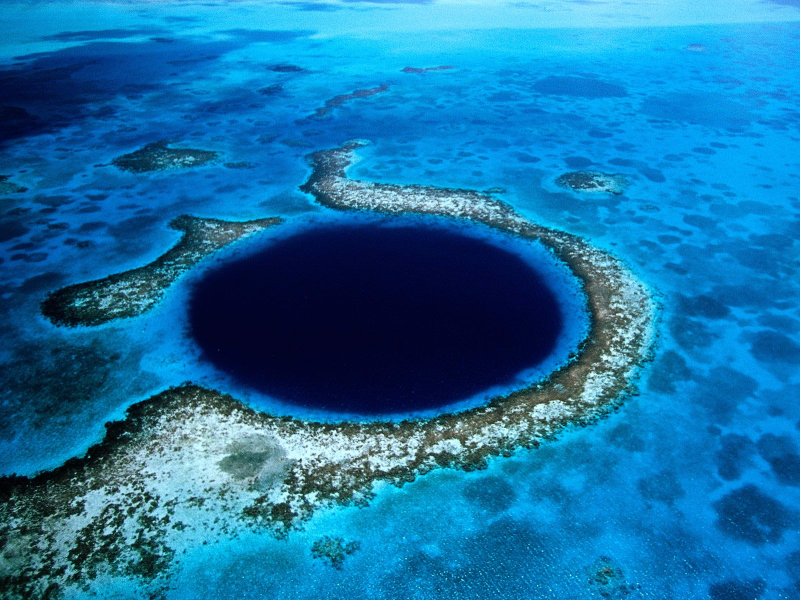 Caracol is the largest site in Belize, covering 30 square miles of jungle canopy. This colossal site includes five plazas, an astronomic observatory and over 35,000 buildings that have been identified. The loftiest among them, a massive pyramid called Cana, capped by three temples, rises more than 140 feet above the jungle floor. After touring the site with a picnic lunch included we return to the hotel. On the way back we can stop and explore the Río‐On Pools and Río Frío Caves if we wish to do so. Barton Creek & Butterfly Farm or Actún Tunichil Muknal Today, we can choose between an adventurous jungle experience to Actún Tunichil Muknal or a peaceful visit to a tropical butterfly farm and a canoe ride through an intricate cave system. To visit Actun Tunichil Muknal we will have an exciting 45 minute trek which includes traversing the jungle and wading across three streams. Once at the entrance of the cave, some swimming is required as well as climbing and caving activity. In our second option, we tour the beautiful butterfly sanctuary and learn about the species of this area. When we are ready we continue on to the river at Barton Creek, where we gently paddle along the river in canoes into the cave system known as Xibalba (Maya for Underworld). While floating past the crystal formations we hear the explanation of the 7.5 Km. Cave system used for ceremonial purposes and as a burial site by the ancient Maya people. Transfer to Airport via Belize Zoo and Flight to Ambergris Caye We will fly to Ambergris Caye but not before stopping and visiting the Belize Zoo and Tropical Education Centre, started in 1983 in an effort to provide homes to a number of wild animals which had been used in making documentary films about tropical forests. Today, the Belize Zoo is settled upon 29 acres of tropical savannah and exhibits over 125 animals – all native to Belize. After our visit, we reach the Airport in time to catch our flight to Ambergris Caye, where we will be transferred to our hotel. Hol Chan, Shark Ray Alley Hol Chan means “Little Channel” in Mayan and is a natural break on the barrier reef where the ocean depth ranges from 3 to 30 feet. 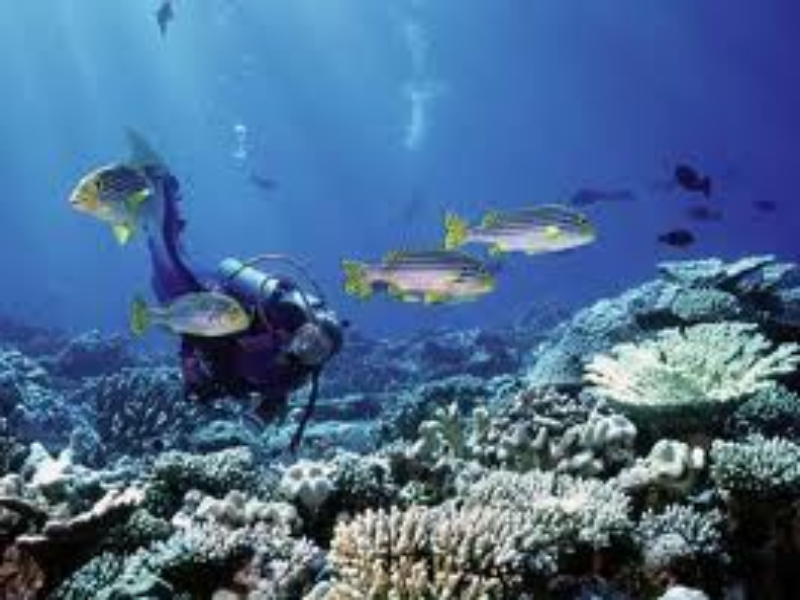 Here, we will enjoy seeing the breath taking myriad of marine life and huge coral garden, among which are flourishing stag horn corals and sea fans. 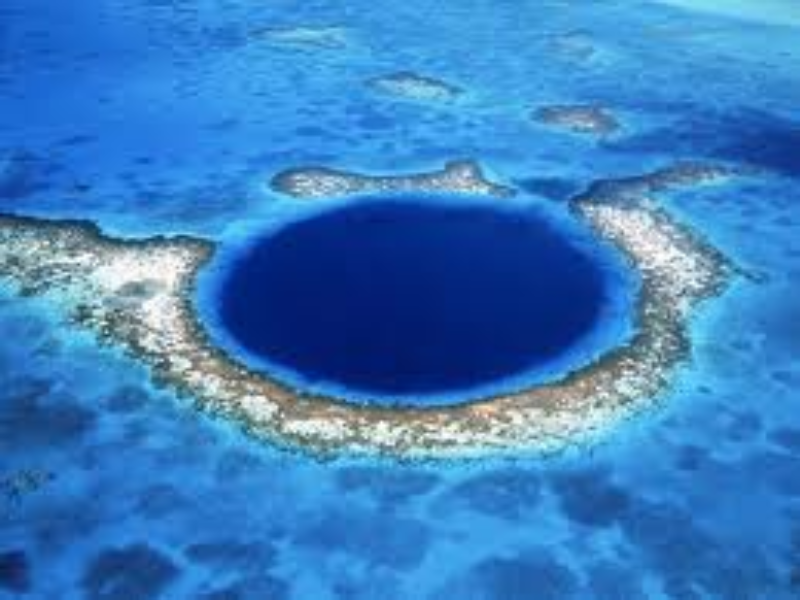 Shark Ray Alley is a shallow water snorkel where we will enjoy swimming with the harmless nurse sharks and southern stingrays ‐ this trip is a famous snorkel trip and a "must do" for Belize. We have the afternoon at leisure to relax or explore the island on our own. Departure Today we fly back to the mainland with plenty of time for the flight out.